In this episode Myke talks about his new Pilot Vanishing Point. Oh wait, he doesn't BECAUSE IT IS STILL STUCK IN CUSTOMS! 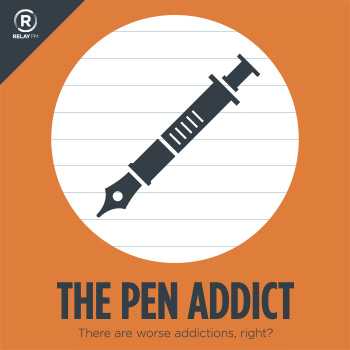 Brad and Myke also discuss the pens they take to work and how to protect them from the non-pen addicts among us.